Even though the content and pictures for this post came from one of our earlier posts in 2010, a lot of what we said before still rings true. 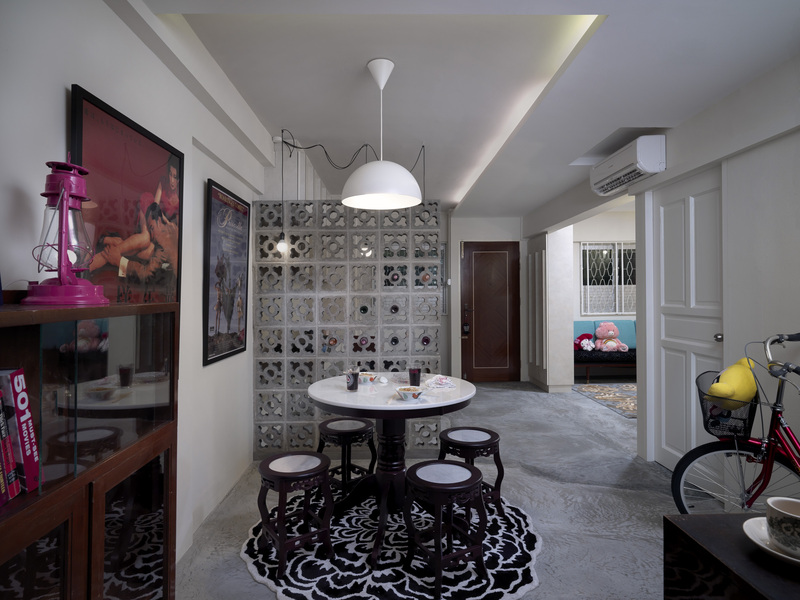 Now that we’re tasked with managing 2 apartments, our #ConceptStudio and #HeritageStudio, Janey Ngow’s apartment in Singapore featured below has made us look at her home with an extra inquisitiveness, zooming in on ideas that we can use. Re-looking at these pictures, we dare say there is plenty of inspiration for us. In fact, the use of concrete has just about peaked now in architecture and interior design, with the use of the material extending into home accessories, lighting and even furniture. Whether or not the use of concrete or the whole design of the apartment is to your taste, that’s still a personal thing. One thing we won’t retract or rephrase in our original post kindly copied and pasted below, is that the space is still fit for a creative person, in 2010 or today in 2016. Depending on which side of the nature vs nurture debate you take, you may or may not agree to the notion of a creative space that breeds creativity. But we think we came pretty close to finding one such space. This is the apartment of Janey Ngow, a budding chef and food entrepreneur, who has created a space bursting with creative elements that she’s happy to call home (and when it looks this good, so would we). 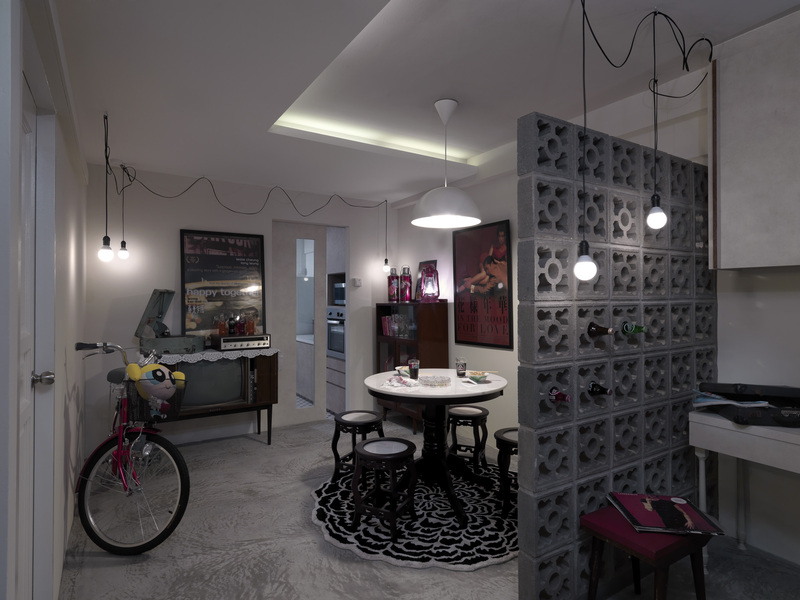 Who would have thought that old concrete patterned bricks would have a second life in a new century after the 1970s? 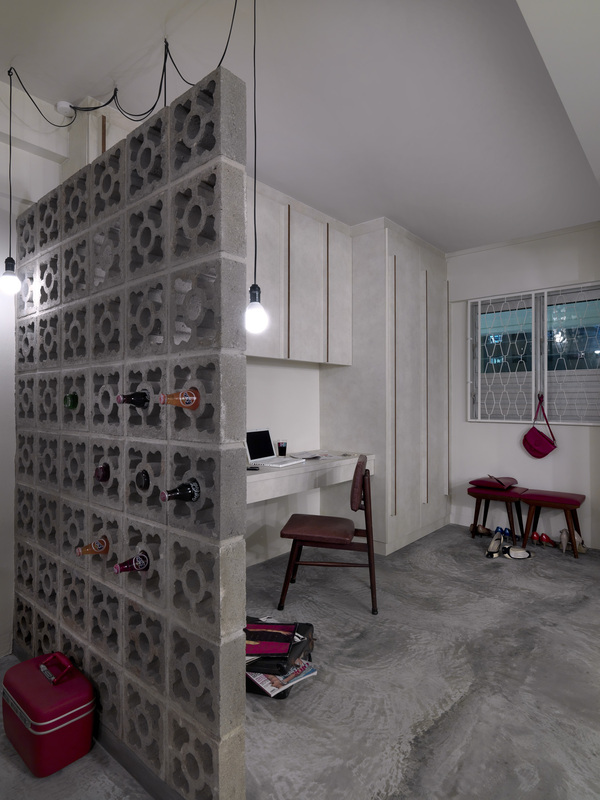 And its use as a divider between the study and dining room is genius. Proves that it’s worth going back in time to source for some good old fashioned design (and maybe marketing) ideas too.